How many times we have parked our bike and wished we could relax in the same place? 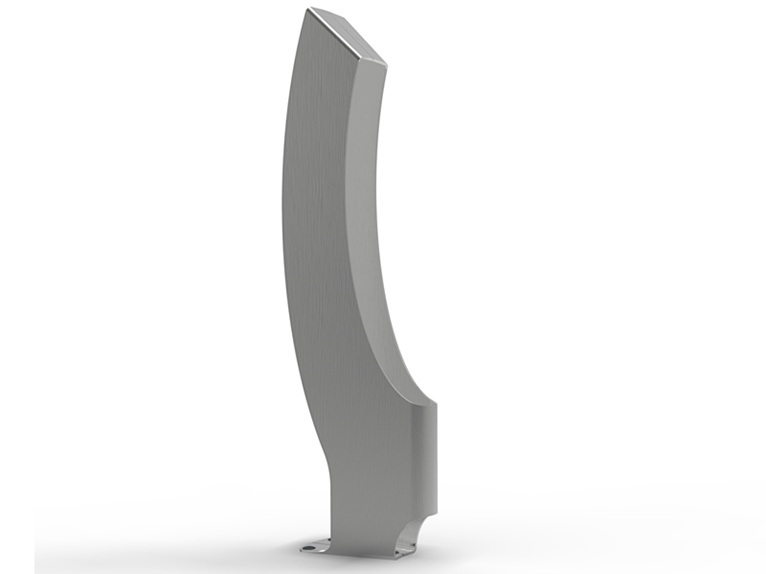 Sit Bike - Alegre Industrial Studio’s latest design for the Japanese firm Katzden Architec LTD – solves this problem. 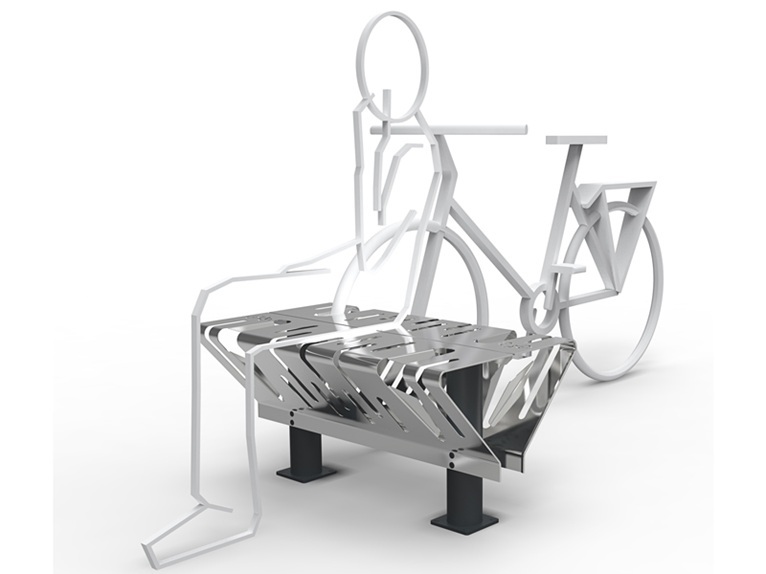 It is a bike rack which is a bench at the same time: you can park your bicycle and have an immediate place to sit. It is easy to install, economic and adaptable for any type of space. Made of three metal plates (100 % recyclable) put together without welding processes, Sit Bike has been designed with the priority of maximum productive efficiency: minimum environmental impact and low waste of material and energy. Another project designed by Alegre Industrial Studio for the same Japanese firm is Cesta. 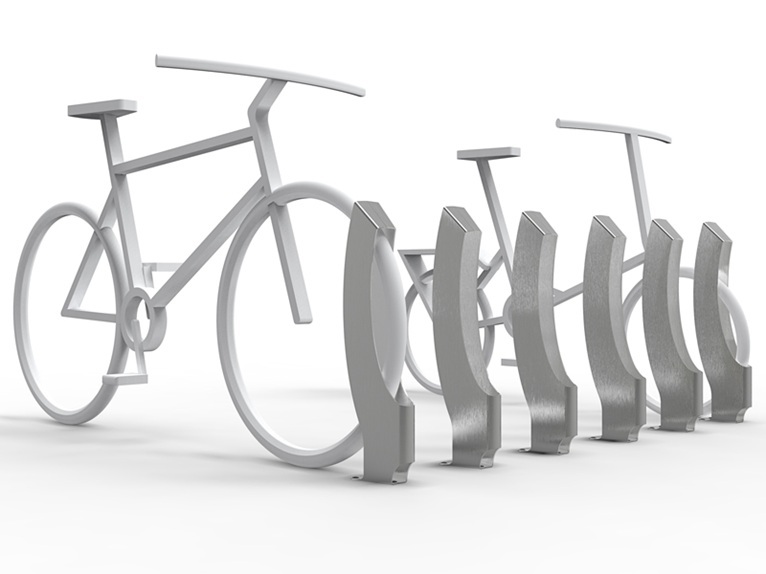 It is a bike rack inspired by the idea of a V shape embracing the bicycle and adapting to any type of wheel. 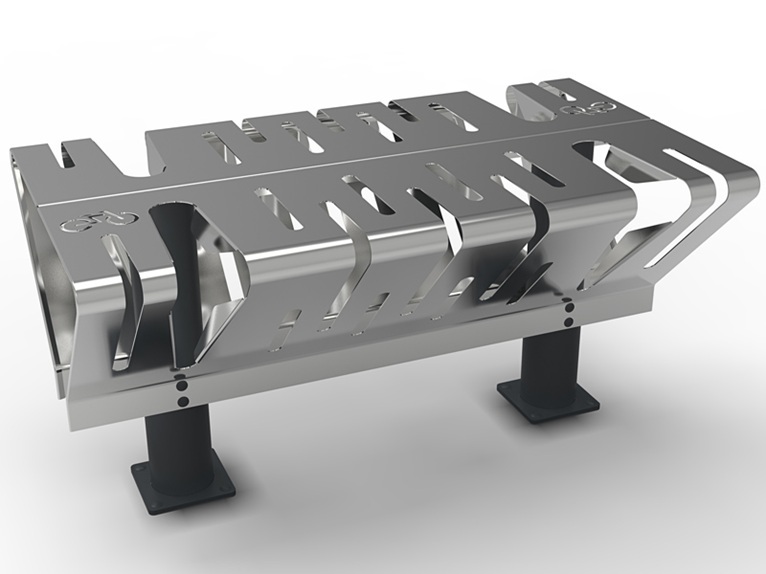 It is very easy to install: three screws drilled directly into the ground. And it’s also very easy to clean thanks to the open components preventing the accumulation of dirt inside. Cesta is modular too, so it cuts down on space, making it ideal for installing in public spaces. 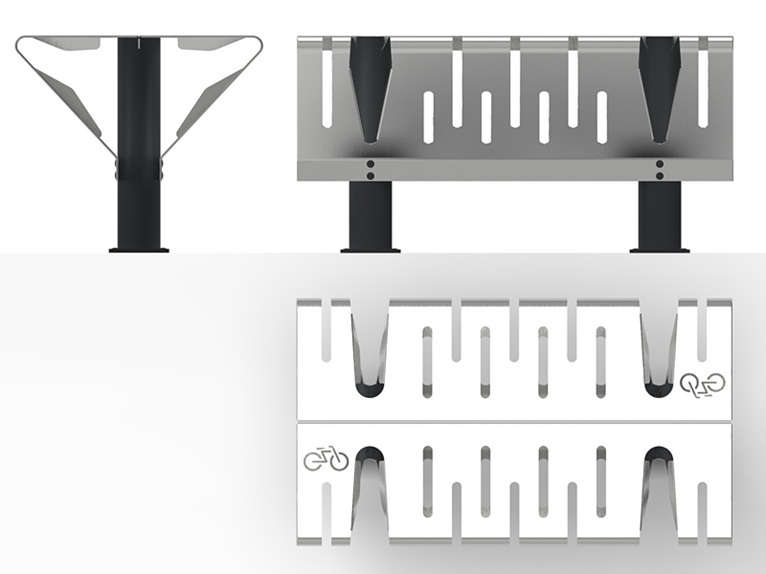 Thus instead of leaving 600 mm between bikes, the racks can be positioned at 300 mm intervals, an excellent feature that facilitates installation in all kinds of places, especially in heavily transited areas such as offices, parks, hotel entrances and railway or Metro stations. 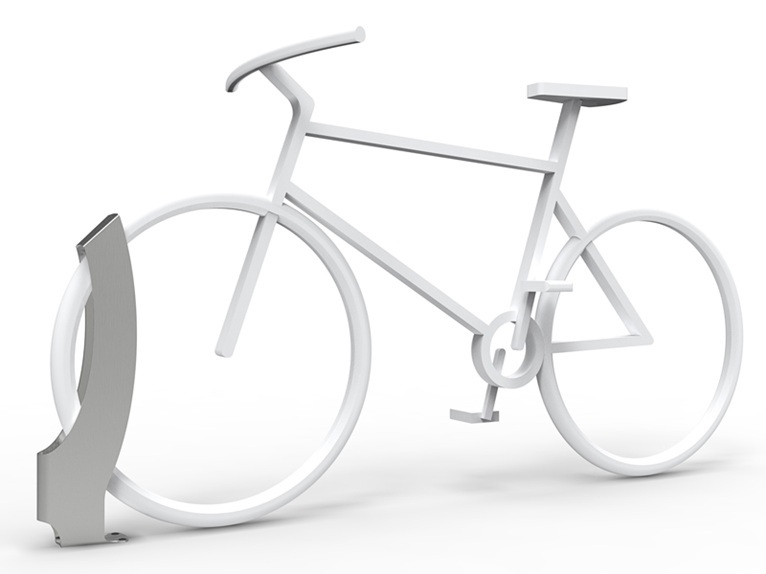 Nice design, but too difficult to lock the bike. It's too difficult to pass a cable lock through a slot, under the flat surface, and up another slot. Locking with a U lock is almost impossible.